Our exclusive Black and White series features powerful saint quotes and prayers, brought together with a simple and serene graphic design. 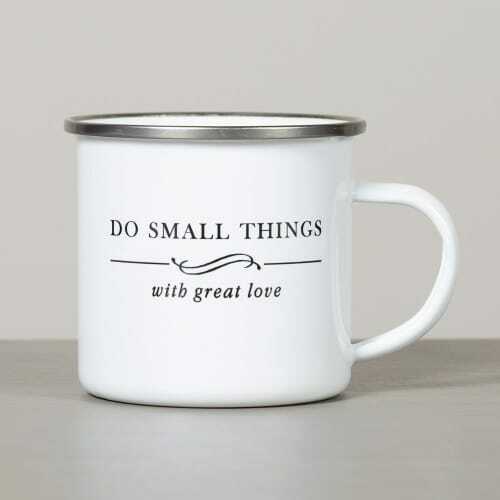 This stainless steel coffee mug with a clean, white coating features a beloved quote on one side, "Do small things with great love," (St. Teresa of Calcutta) and name personalization on the other side. Use this unique handled cup at home or in the great outdoors, or as a practical gift for any occasion.